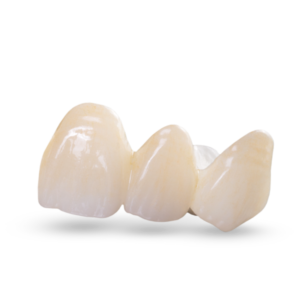 Translucent Zirconia is an amazing product that brings translucency into your Zirconia restorations. Stoller Dental Lab recommends using Translucent Zirconia for bicuspids and possibly anteriors depending on the patients esthetic desires. Our Translucent Zirconia are cad cam designed and milled in house. We then sinter them overnight to achieve the Zirconia strength that is needed then we will stain and glaze the product.